Mayor David Condon announced a reorganization of city government that consolidated municipal services, as well as the retirement of one cabinet official and the appointment of another. Speaking at a press conference this morning, Condon told reporters that utility, streets and engineering services will be placed under the purview of a new Public Works Division led by Scott Simmons, currently the director of the Business and Developer Services Division. A new Neighborhood and Business Services Division will be led by Jonathan Mallahan, the current Community and Neighborhood Services Division director, that will provide planning, developer services and parking. Speaking at a press conference, Condon said that the restructuring will better align city government with its strategic initiatives and city council committees. 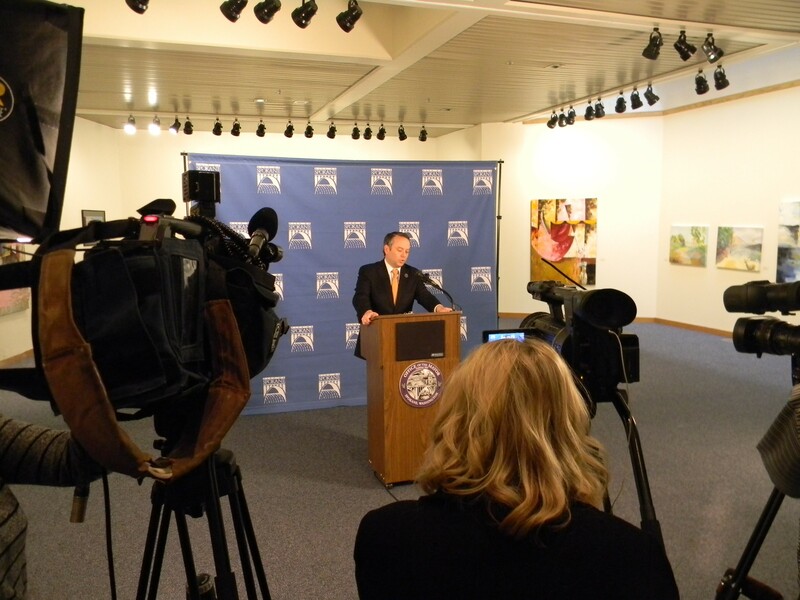 Condon also announced at the press conference that Rick Romero, utilities director, will be retiring this spring. Tim Dunivant, budget director, will join the cabinet as director of finance and administration. Gavin Cooley will remain as the city’s chief financial officer and will be focused on investments and debt.